The Commonwealth Lawyers Association (CLA) has been invited to take keen interest in the contempt case against Civil Society Constitutional Agenda (CiSCA) chairperson Bishop Mambo and Human Rights activists and Executive Director of the Southern African Network Against Corruption Gregory Chifire, Diplomatic sources have hinted. The donor community who had a meeting this week are concerned that the two may not receive a fair trial given the conduct of the Judiciary in the matter. The Diplomatic Community, according to the source, are particularly concerned with the manner the matter is being handled by the Judiciary as it flies in the face of justice, where the Supreme Court Judges are the prosecutors, Judges and witness in their own matter. “During a corporating partners meeting this issues arose. The biggest concern is that the two may not be able to receive fair trial in the matter. The procedure that the Supreme Court has taken to pursue the contempt charge is unprecedented. “What is worrying is that even the Law Association of Zambia (LAZ) which is supposed to be the voice for the voiceless seems to have been compromised or are scared,” revealed the source. The Diplomatic community is now reportedly, engaging the Commonwealth Lawyers Association (CLA) to take keen interest in the matter. The principles of natural justice is rooted in two Latin maxims:”Audi alteram partem” and “nemo judex in causa sua”. The first one translated into English means that a person who has been charged, must be heard before any decision is taken and the second maxim means that a person will not judge a matter in which he is interested. 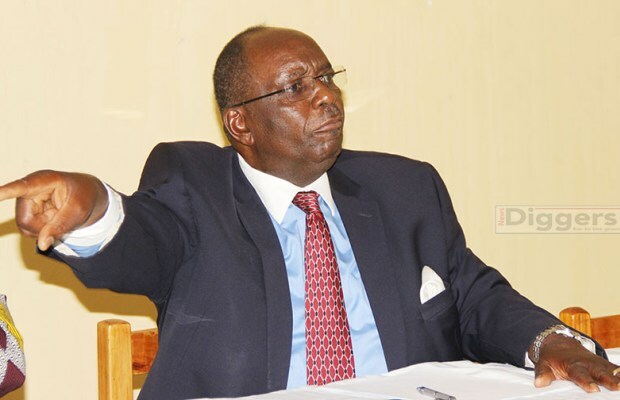 However, in this particular case the Supreme Court through Deputy Chief Justice Marvin Mwanamwambwa are the prosecutors and the judge in their own case where they are even inviting themselves and wives to be witnesses.